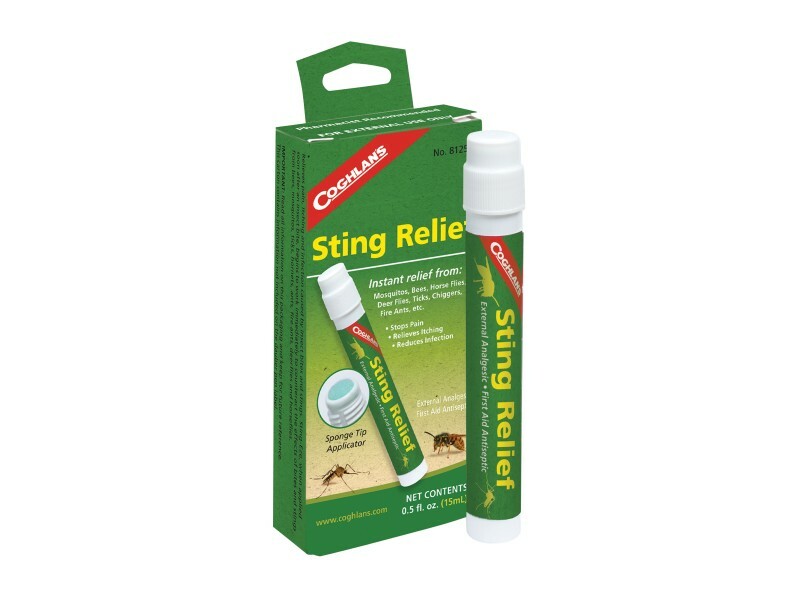 Coghlan's Sting-Eze brings instant relief from insect bites with a concentrated topical liquid. Soothes pain, help control the itching and helps to eliminate swelling caused by the bite or sting of mosquitoes, bees, wasps, hornets, horseflies and other insects. No one likes the sing of any insect, so why not be prepared. Easy to carry and great to have a few around. Put one in your car, boat, RV, tent, shed and/or prepper bag. Directions: Clean area. Apply a small amount to the bite area while massaging with sponge tip applicator. If itching persists, apply again in 10-15 minutes. For ticks and bees, remove tick or stinger before treatment. Adults and children 2 years and over: Apply to affected area 1 to 3 times daily. Children under 2 years: Consult a doctor.